Summer has come way too early for the Plains and Midwest where people are having to be cognizant of high temperatures well above 90F. 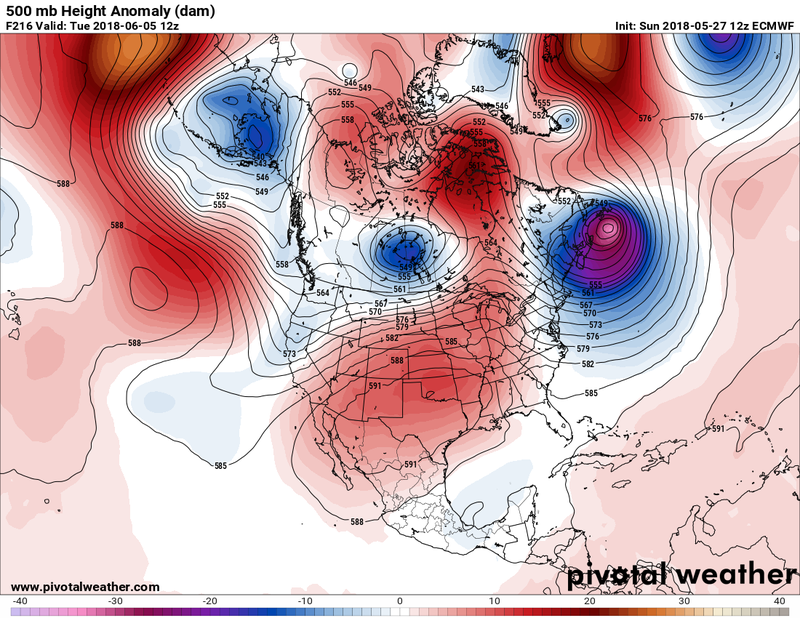 It remains to be seen whether or not the budding heat wave we currently have there will mature into a truly historic, stifling event. 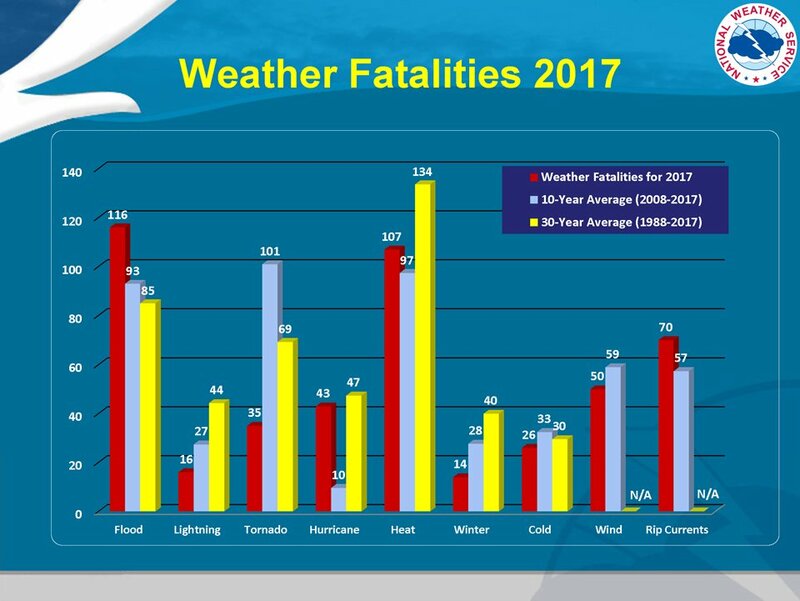 I don’t want to poo poo my meteorological profession, but one reason why the public doesn’t worry or pay too much attention to weather and changing climate is because the historic death toll in association with both through 2018 is just not that high, particularly in the United States. Traffic accidents, cancer, and war, for example, are far more lethal. This good fortune on the weather front is a result of a great warning system by the National Weather Service. As we have seen internationally, though, as in the case with Syria, heat can lead to drought leading to a very lethal war. 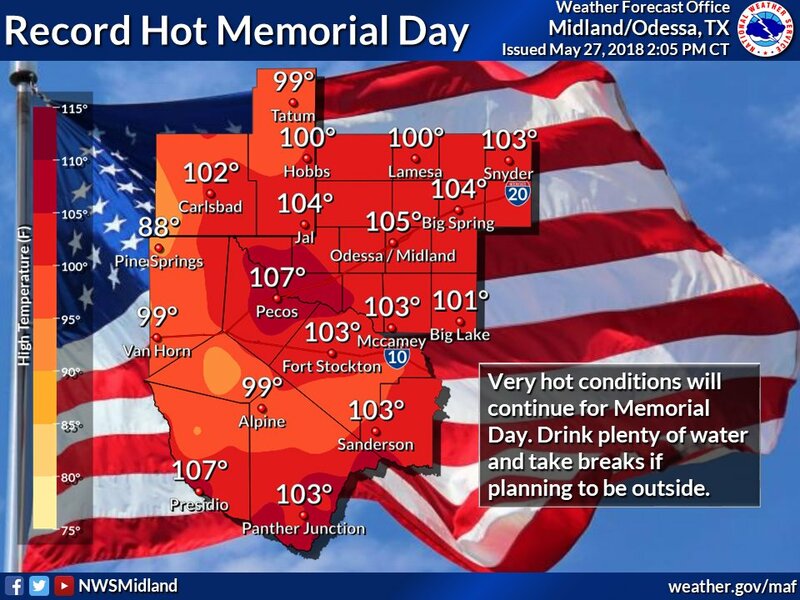 I imagine that it would take maxes getting close to 120F throughout the Plains for several consecutive days to see widespread death despite air conditioning, but thankfully global warming isn’t at that level yet. There was probably a big undercount from Maria, but I digress. So, until we see another potentially devastating hurricane or synoptic flood event, we need to concentrate on heat to keep the public safe, which is the main purpose of this entire web site. Oh my! Speaking of flooding it looks like there have been two thousand year floods in the space of only two years in portions of Maryland: https://www.commondreams.org/news/2018/05/27/second-1000-year-flood-two-years-slams-historic-maryland-city Quoting from this article:Ellicott City was still recovering from a flash flood two years ago that killed two and forced the historic city to rebuild much of its Main Street. Residents said Sunday’s flood seemed even worse than the storm in July 2016 — which was called an extremely rare “one-in-1,000 year event,” and cost the city tens of millions of dollars in damages. 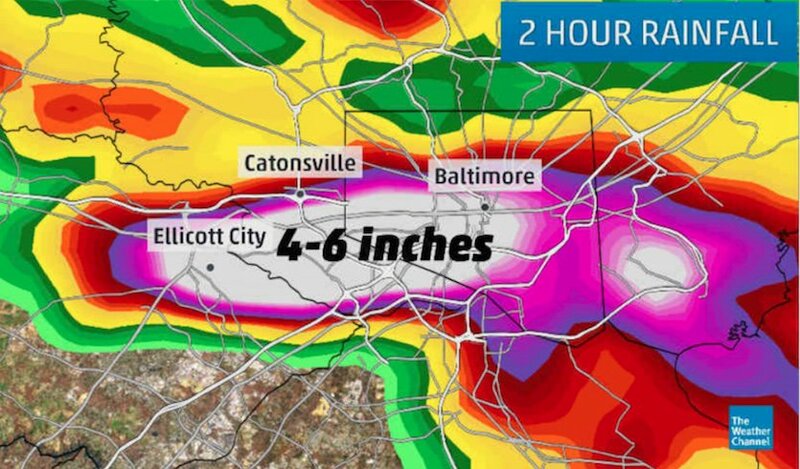 If you know anyone in Ellicott City, MD area..1st pray then tell them to stay out of flood prone areas. See the dramatic videos of flooding there now. And here is current radar. It is not by any means over. The temps at which a AC can operate is strongly driven by temp the compressor operating envelope , this value is determined by compressor manufacturer , in all cases most compressor can’t operate beyond 55C temp the reason being as the ambient temp increases the discharge pressure of the system keeps increasing, most system have a high pressure cut off switch, this switch cuts of the system power as the pressure increase to protect the compressor , therefore beyond 55c it’s difficult for compressor to operate. 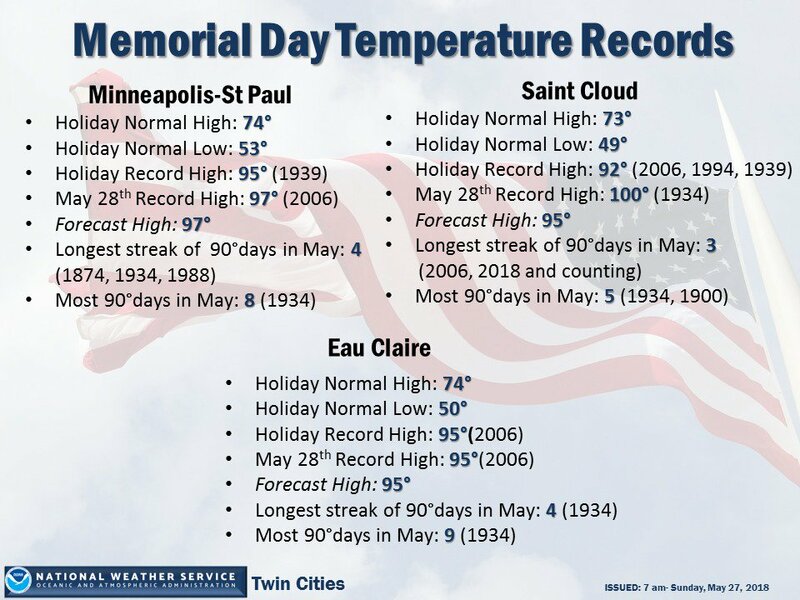 I expect more extreme, record setting temperatures in portions of the Midwest and in west Texas. 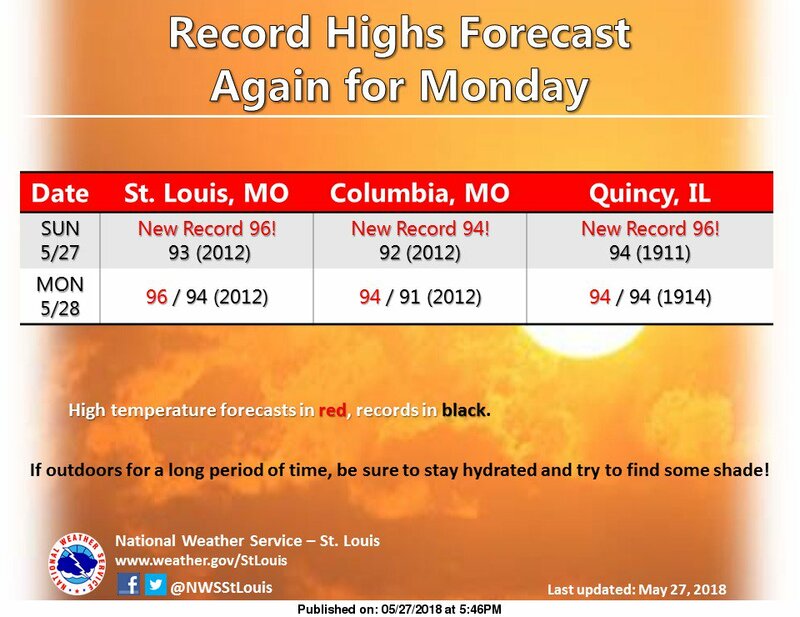 If the temperature got up as high as 98F at Chicago either today or tomorrow, the monthly record would be tied (old record 98 set on 5/31/1934). 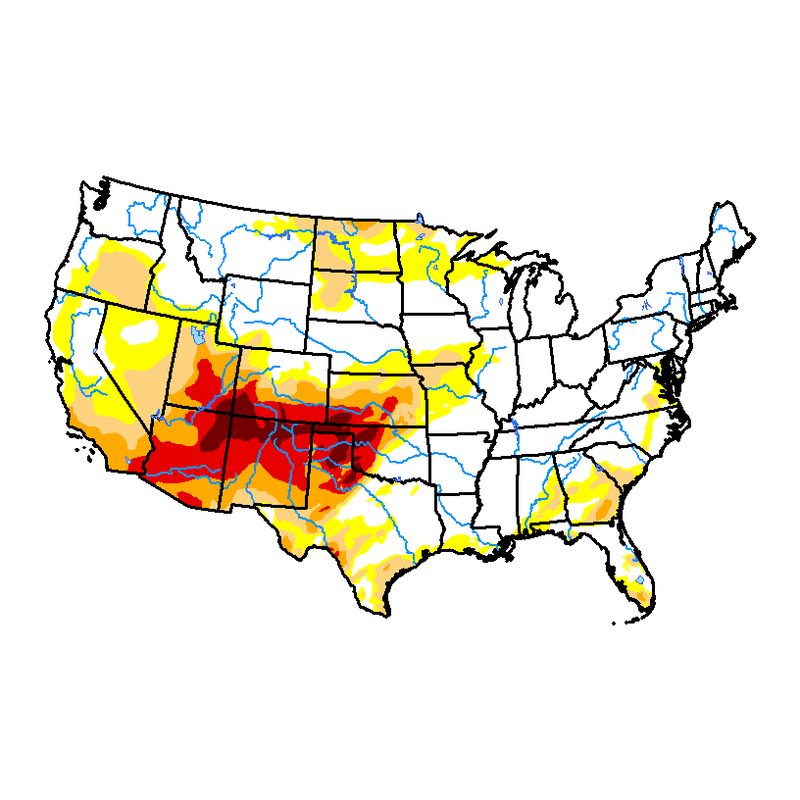 I would not want to live in western Texas this summer looking at current trends. The 97 degree high now makes today hotter than any day during the past 5 summers! The last time Chicago officially reached 97 degrees was back on July 25, 2012 when it was 99! Today’s 96 degree high in Chicago is hotter than any temperature recorded at any point in time the past 4 summers! 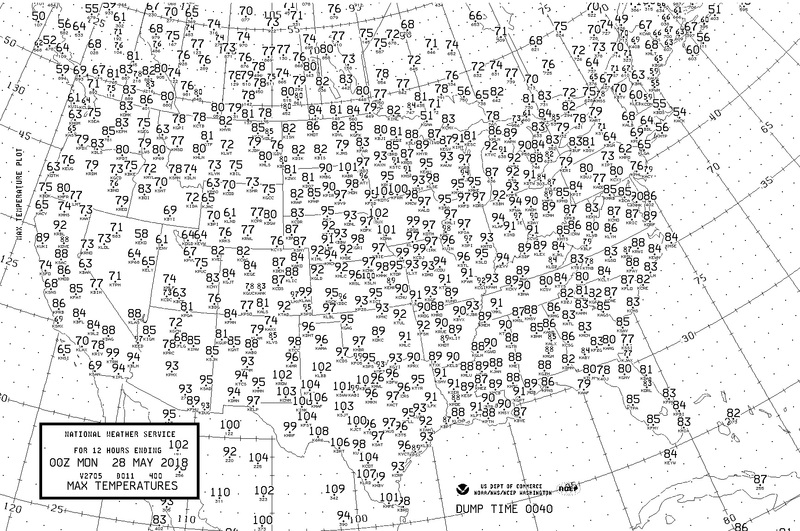 The last time we reached 96 degrees in Chicago was 8/30/2013.